Investing in spring cleaning services brings significant health and financial benefits. Your responsibility when it comes to home cleaning shouldn’t only apply until you plan to move out. Likewise, it’s important to understand that carrying out a thorough clean in Spring is essential not only during the time of rental inspection but also for keeping your family safe and healthy in the coming months. 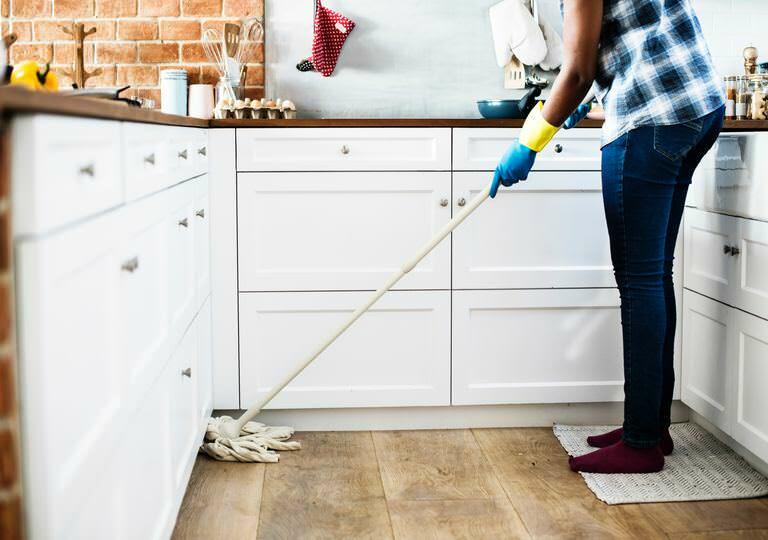 It’s necessary to hire a reliable home cleaner if you have a very tight schedule and you notice signs of dust build-up around your rental property. This gives you more time for family and work as well as giving you the assurance of a well-organised and clutter-free space. Have you made a checklist for the tasks that require deep cleaning? Are the necessary cleaning supplies such as microfibre cloths and cleansing agents ready for use? Have you decided to remove anything that doesn’t add value to your lifestyle and investment? Are you planning to have the cleaning tasks done on a daily, weekly or fortnightly basis? Have you read client reviews to give you a better understanding of the business’s quality of service? For any cleaning job, it’s important to know what and what not to prioritise. You can ask your local cleaner to set a deadline for each task to arrange and manage your schedule. Make sure to provide some reminders before commencing the work. If you struggle with what areas around your rental house deserves your prime attention, look at your things. Do you still need those old piles of files and magazines in your bedroom? How about those garbs, bed sheets and linens that are candidates for disposal? By letting go of unused items in your rental property, it can help to minimise the amount of work to accomplish. It’s best to speak to a local skip bin hire to ensure that your rubbish are properly handled and disposed. You may also recycle some of the items that can be reused for other purposes. Windows. Mud streaks, cobwebs and accumulated dusts can mar your windows’ appearance. Dirt build-up in your window sills doesn’t only affect its aesthetic appeal, but can also reduce its lifespan if left unnoticed. Looking after your windows regularly can lessen the degree of complexity when cleaning them. Upholstery. Cleaning your upholstered furniture such as your sofa is essential especially if it’s used regularly. Dusting off the surface and removing stains are a few tasks that you need to observe carefully. Using a vacuum will do to ensure that dirt and debris won’t disturb someone from your family, especially those with asthmatic or allergic conditions. It’s good to check the spaces within the sofa to target those hiding in crevices and under the cushions. Carpets. Stains and dust can lessen the overall look of the carpet. Using stain removers and a vacuum cleaner can help you bring back its original appeal. Shaking off the rags is also one way to eliminate dust particles from the surface. Professional local cleaners know the basics of treatment procedures such as steam cleaning to ensure that your carpet will look good as new. Tile and Grout. Dirt, grease and bacteria can easily form within the tiles and crevices. Whether it’s a bathroom or kitchen flooring, regular cleaning is important to maintain its quality look. If you lack the time to attend to this need, hiring someone to do safe cleaning and scrubbing can restore its look and save you a lot of money from regrouting. Walls. Make sure to check any signs of grease and dust in your walls to make the wiping process easier and less hassle. Professional cleaners are trained to remove the dirt and stains using the best materials and techniques available. For bathroom and bedroom walls, it’s also good to look for mould formation to help extend its lifespan. Expert cleaners know the principle of starting from high to low areas. Dusting off the door frames, ceiling fans and other furniture pieces before you move into other areas of your rental home can make the job easier. It’s best to schedule a consultation with your landlord and prospective home cleaner to maximise your investments. Double check your lease agreement or ask your landlord before getting any professional assistance to avoid disputes. Confirm with the landlord who’s responsible for spring cleaning services cost. You may clarify if you can divide the cost. Choose your prospects and review the business profile to weigh their professional and reliability level. Ask questions to learn more about their credentials and work attitude. Request for other requirements including an updated police check and work cover insurance. Get recommendations from other renters and landlords. Choosing the right business that you can trust requires careful thought. Not only does it help to guarantee your kids’ safety but also allow you to attend to your family’s needs and increase your productivity. It’s better to invest in spring cleaning services than incur costly repairs. Considering the property as your own can make a big difference in how you take care of it. Keeping the property in tip-top condition doesn’t only benefit your family but also help you to receive your rental bond in full when it’s time to move out. Ready to hire a tradie that provides the best spring cleaning services? HIREtrades can help!